Many 21st century families are living beyond the picket fence, redefining family across generation, race, gender, immigration status, and sexuality. 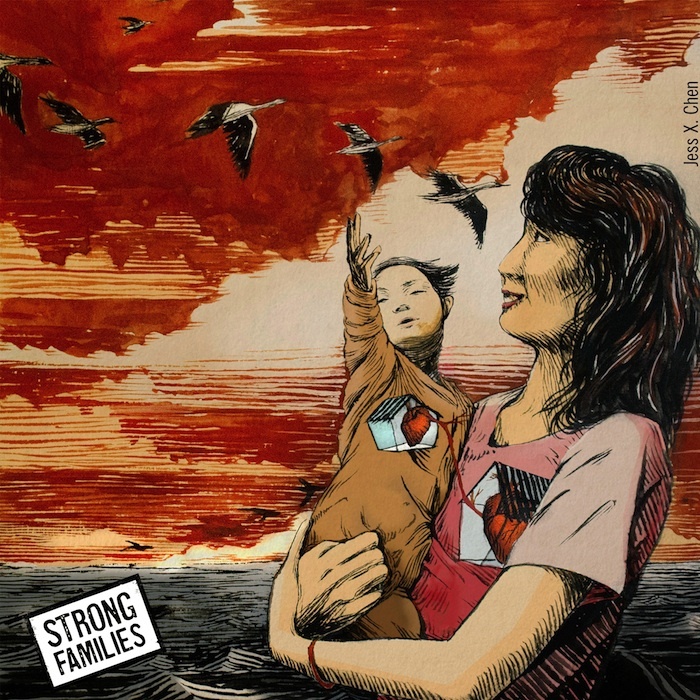 Strong Families is a campaign from multi-racial organization Forward Together that advocates on behalf of those whose lives fall outside the outdated notion of the nuclear family. They rightfully believe that the way we allocate resources and make policy needs to catch up to the way we actually live. Strong Families' declaration of May 8 as Mamas Day (and yes, that lack of apostrophe is intentional) challenges the ways that Mother’s Day, one of the biggest commercial holidays in the United States, often reinforces traditional notions of motherhood and a narrow definition of what makes a family. 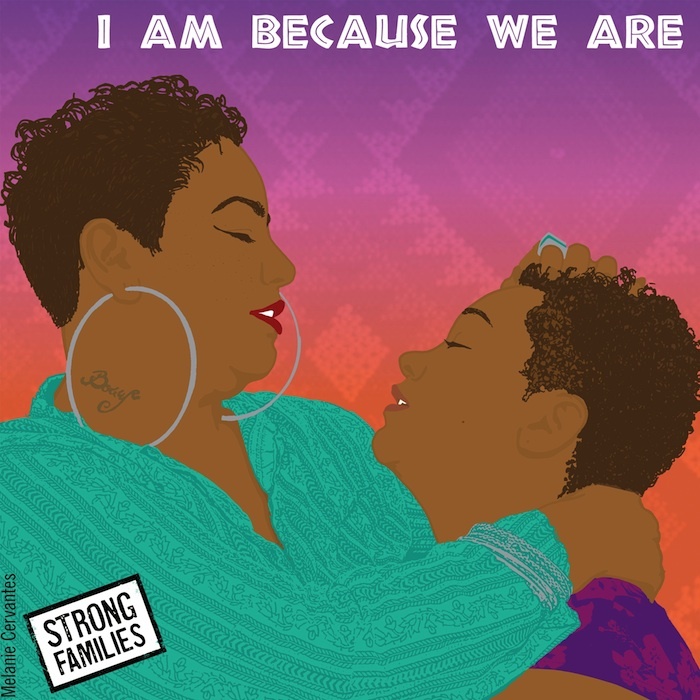 Since 2011, the organization has released a series of digital cards featuring original art that shows families of all sizes, shapes, and structures, that are designed to better reflect the families we know and love. 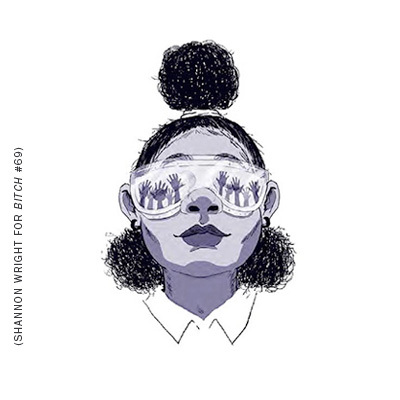 Many of the cards don’t feature people on them at all, instead showing images of growth, power, love, and connection. Even better, all of the cards have space for customizable text so you can decide what the image means to you and your mama or mamas, whoever they are. This year, the card campaign includes a special effort to collect Mamas Day cards for immigrant mothers spending Mother's Day in American immigration detention facilities. Under the federal detention bed quota, Congress requires that at least 34,000 immigrants are locked up each night. At MamasDay.org, you can choose a card that activists from Presente.org, CultureStrike, NWDC Resistance, and Strong Families will deliver to moms in immigration detention facilities in Tacoma, WA and Berks County, PA on May 7. What are you waiting for? Go help them celebrate Mamas Day!